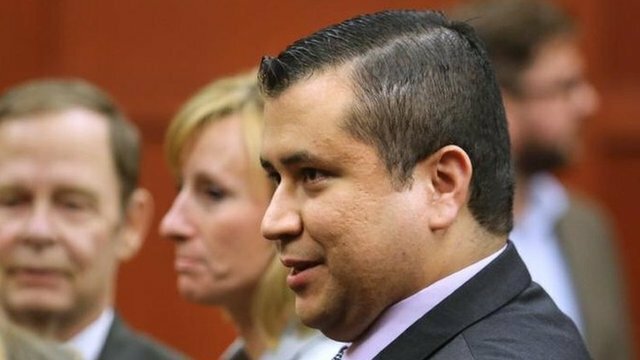 US town divided on Zimmerman verdict Jump to media player The US town where neighbourhood watchman George Zimmerman was cleared of murdering black teenager Trayvon Martin is divided on the verdict. 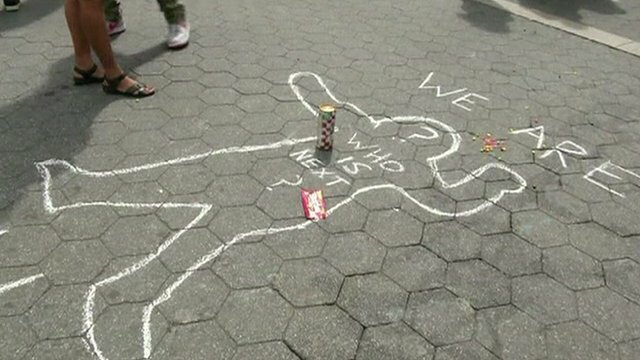 NY protests over Zimmerman verdict Jump to media player Protests over the not guilty verdict for a man accused of killing an unarmed black teenager in Florida are taking place across the US. 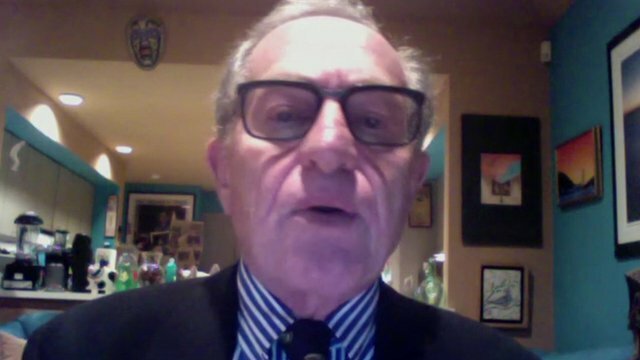 Zimmerman verdict 'was right' Jump to media player The not guilty verdict for a man accused of killing an unarmed black teenager in Florida was "right", Harvard law professor Alan Dershowitz has said. 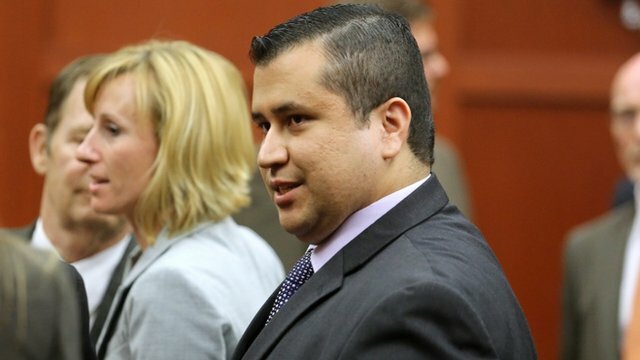 US jury acquits on black teen death Jump to media player George Zimmerman, the Florida neighbourhood watchman who shot dead an unarmed black 17-year-old male last year, has been found not guilty. 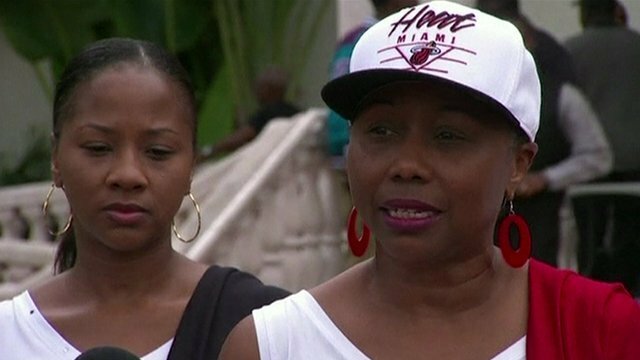 Trayvon Martin's family 'disappointed' Jump to media player Trayvon Martin's relatives say they are "hurt" and "disappointed" after neighbourhood watchman George Zimmerman was found not guilty of murdering the teenager in Florida last year. 'Obama needs to get involved' Jump to media player A Florida neighbourhood watch volunteer has been found not guilty of the murder of an unarmed local teenager. 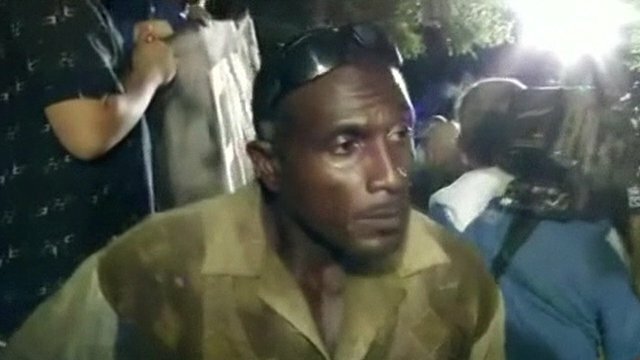 Supporters of the Martin family have been speaking of their disappointment. Zimmerman 'not guilty' of murder Jump to media player A Florida neighbourhood watch volunteer has been found not guilty of the murder of an unarmed local teenager. 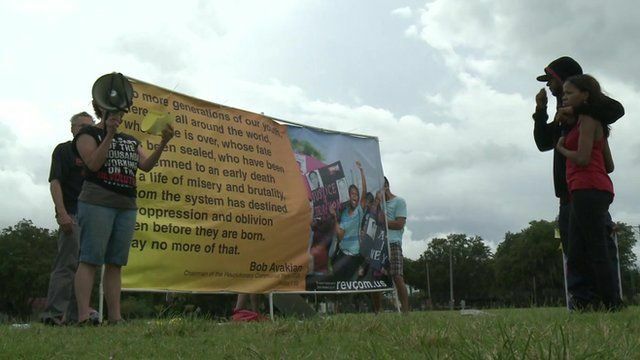 The town of Sanford, Florida, where neighbourhood watchman George Zimmerman was cleared of murdering black teenager Trayvon Martin, appears divided on the verdict. Some residents claim the town suffers from extreme racism, and that the case is simply a small example of a much more pervasive issue. But others say the jury was right to clear Mr Zimmerman, and that the town has become more united in the past several decades.